3-Bladed Head: Higher responsiveness and more collective authority can be found in this 3-bladed head design. 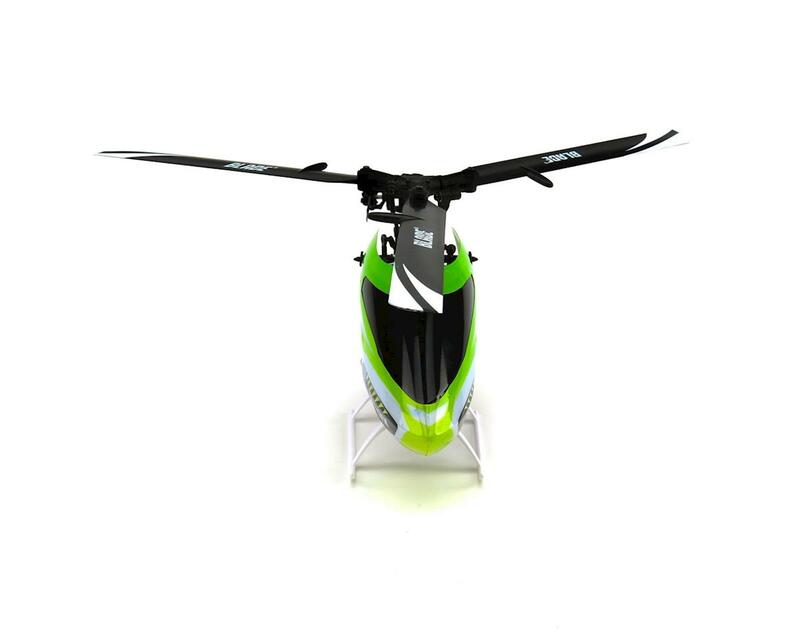 AS3X® Technology: The Trio 180 CFX utilizes innovative AS3X® flybarless technology for unrivaled performance in a helicopter of this size. Optimized Servo Geometry: Optimized servo geometry virtually eliminates mechanical inefficiency by keeping swashplate links near vertical throughout their range of motion. The result is a flawless cyclic and collective response. 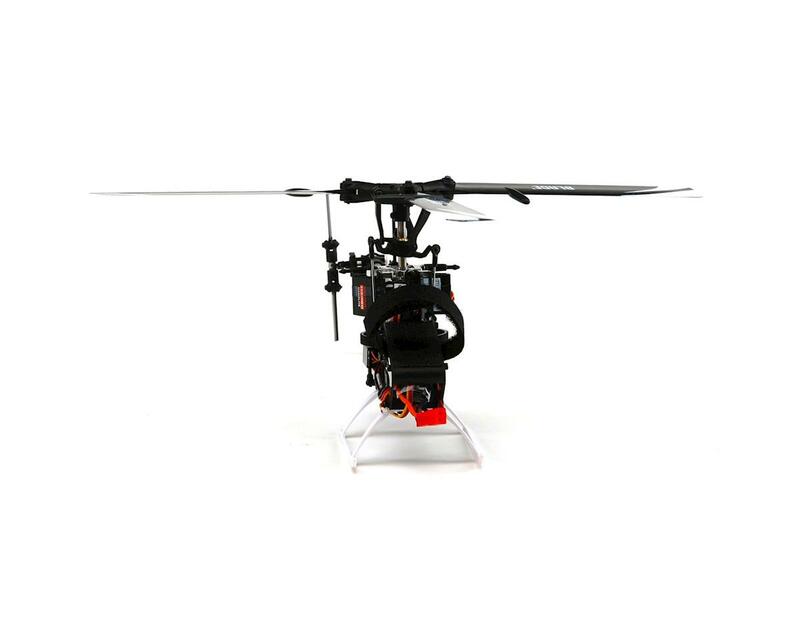 Nanolite Receiver: The Spektrum™ AR6335 6-channel receiver features AS3X flybarless technology built-in to deliver high-speed stability and precision that’s compatible with your favorite programmable aircraft transmitter with Spektrum DSMX® technology. 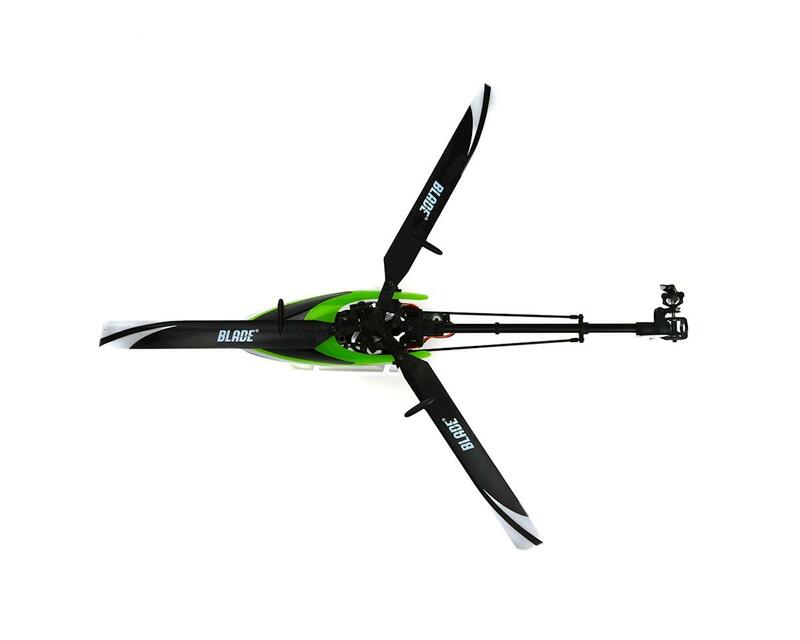 Castle Creations ESC: The reliability of a Castle Creations Talon 15 speed control assures great performance for even hard-core 3D flying plus pilots will enjoy the convenience of having motor timing and optimal governor settings pre-programmed. 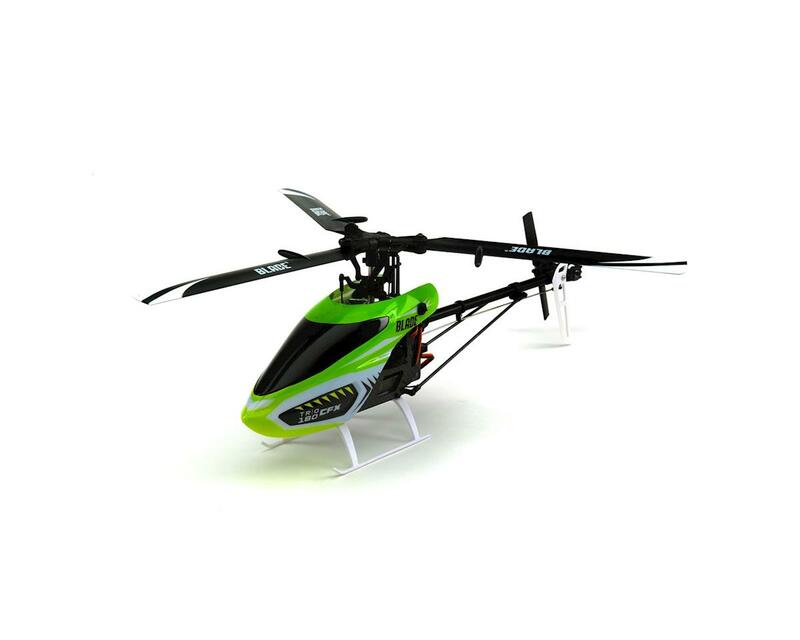 Rigid Carbon Fiber Frame: The carbon fiber side frames sandwich aluminum bearing and mounting bocks for a structure that is as durable as it is integral to precision control. Metal Gear Servos: Upgraded Spektrum metal gear servos offer impressive response and improved durability to the Trio 180 CFX. 5800Kv output for aerobatic performance that doesn’t lag behind. 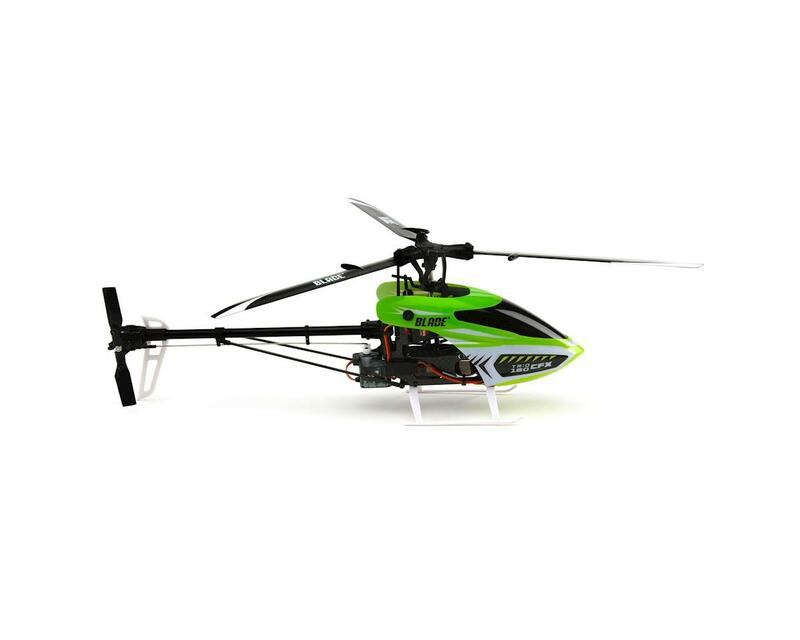 3S Li-Po Power: Designed for a high-output 450mAh 3S 11.1V 30C Li-Po battery (sold separately), this offers the performance hard-core 3D pilots demand while offering approximately 3 minutes of fast-paced fun. 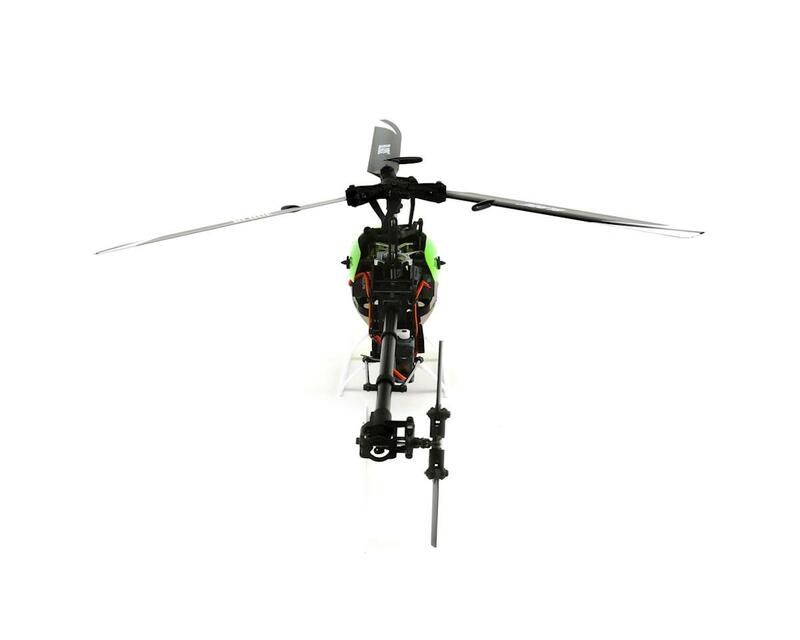 Torque-Tube Drive Tail: The torque-tube drive tail system features ball-bearing support inside an aluminum boom that connects at the tail rotor to a strong one-piece tail case.